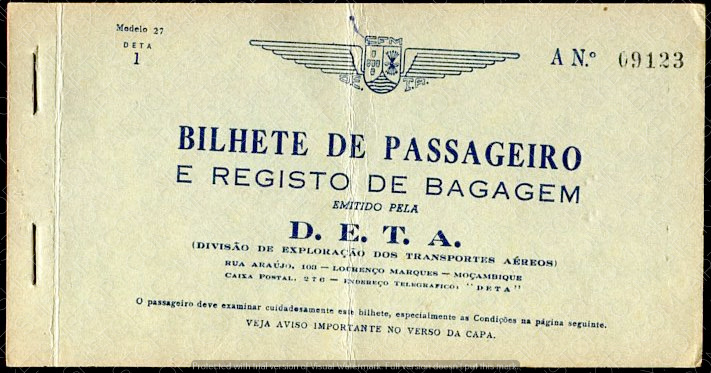 HISTORY: DIRECCAO DE EXPLORACAO DOS TRANSPORTES AEREOS (DETA) was established on 26 August 1936, as a division of the Department of Railways, Harbours and Airways of the Portuguese colonial government of Mozambique. Charter flights were operated for a short period of time, until a regular airmail service commenced on 22 December 1937 using a Dragonfly, a Hornet and two Rapides. Shortly afterwards, these services started carrying passengers, most of them government officials. Mozambique gained its independence from Portugal in 1975. 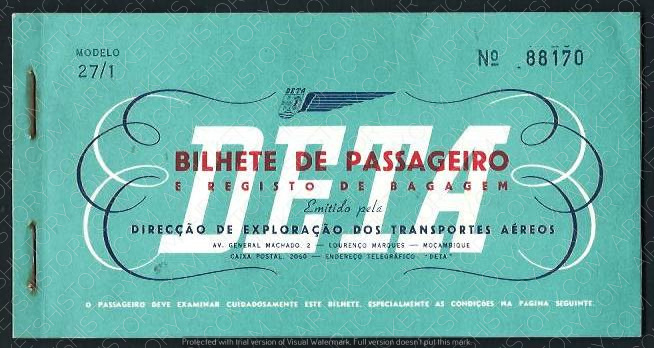 DETA was Mozambique's flag carrier until 1980. Following allegations of corruption, the airline was restructured and renamed LAM – Linhas Aereas de Mozambique early that year.